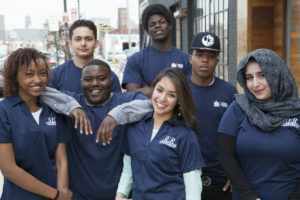 Help SER YouthBuild Construction Institute (SYCI) raise money for a truck. The truck will allow YouthBuilder’s to continue to support the Detroit community through board-up projects, minor home repair and ramps for seniors and much needed blight remediation. SYCI is a national program that empowers low-income individuals, ages 18-24, to transform their lives by providing educational, leadership development, and civic engagement opportunities, along with hands-on training. SYCI assists young individuals to become stewards their community by pursuing achievable goals to build a productive life. SER is a 501c3 organization and donations are tax deductible. SER will provide a letter upon request.